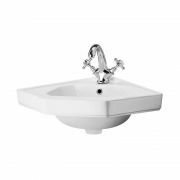 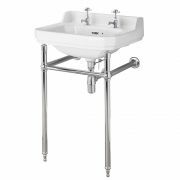 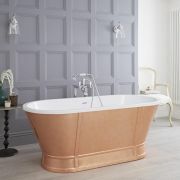 The beautifully designed Milano Richmond 560mm basin and washstand is sure to make a style statement in your traditional bathroom. 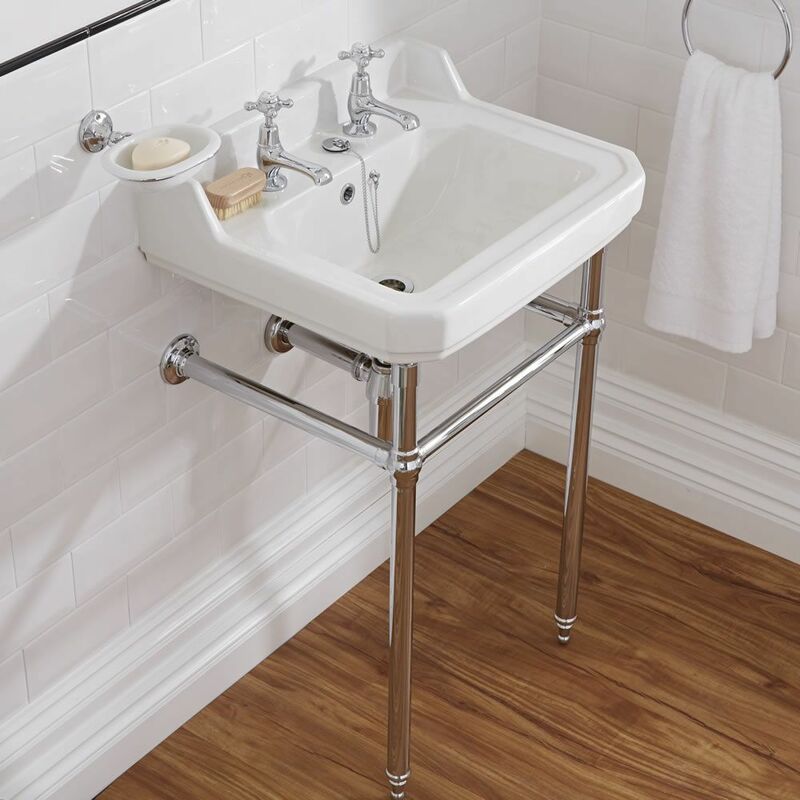 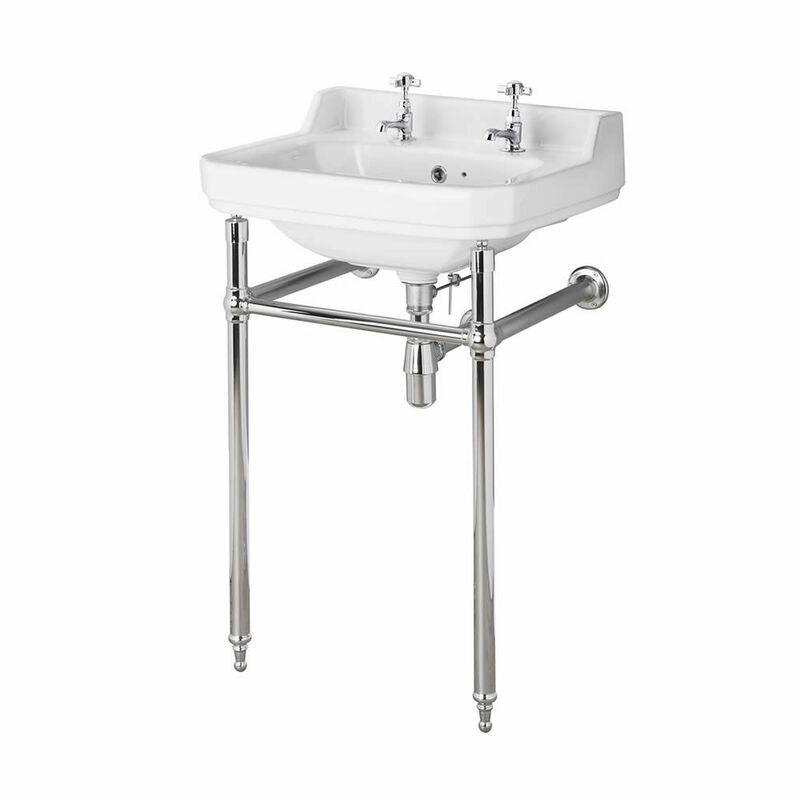 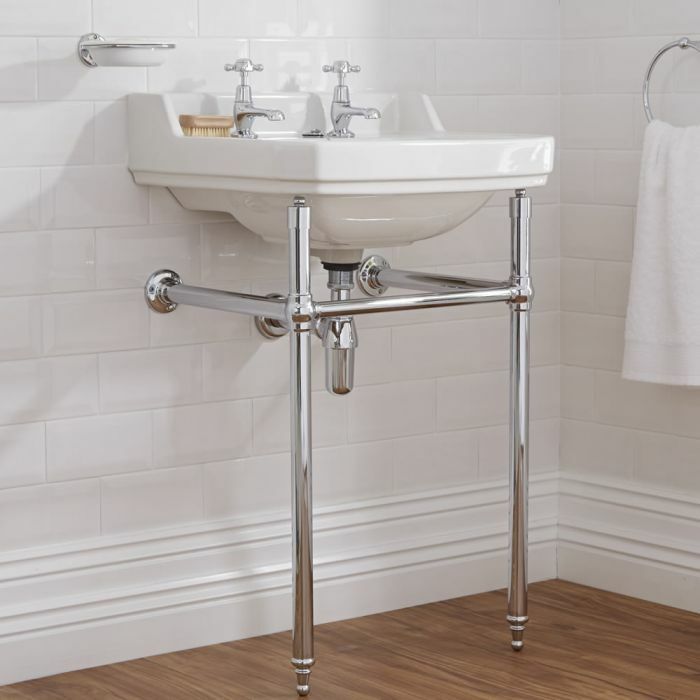 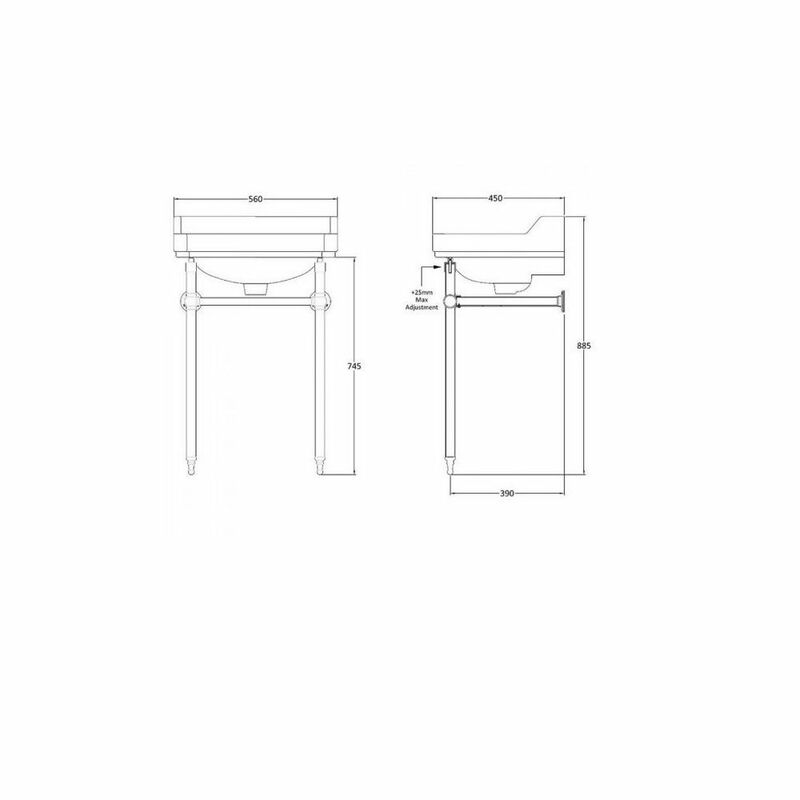 The brass washstand has a durable chrome finish that blends seamlessly in with any bathroom décor and an elegant design that will never go out of fashion. 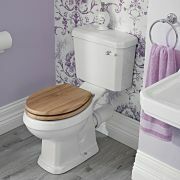 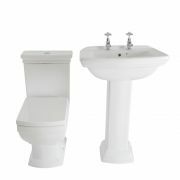 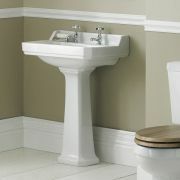 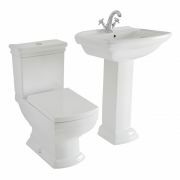 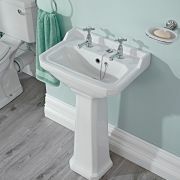 Incorporating plenty of wash space, the Richmond basin features an authentic traditional design and a hard-wearing easy to clean white glazed finish.